Nuestra compañera Lourdes Alonso son ha facilitado este enlace a un artículo de Pierre Kerroch sobre el Grial y la obra del gran estudioso artúrico Georges Bertin. Y nuestra también compañera Apollonia Narducci nos ha aportado información sobre el grupo CENA (ver adjunto), entregado a conocer y disfrutar la cultura artúrica, cuyo presidente de honor es el maestro Georges Bertin. Gracias a las dos y saludos a todos. 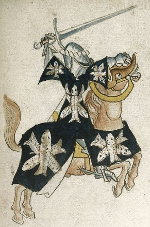 Our colleague Lourdes Alonso has found the following link where we can read an article by Pierre Kerroch on the Grail and the work by the great Arthurian scholar Georges Bertin. And our also colleague Apollonia Narducci want to share with us the attached information on the CENA group, in other words, an organization devoted to learn about and enjoy Arthurian culture. Its honorary president and founder is Georges Bertin. Thank you to you two and regards.